We are up at the lakehouse this week and I found some beautiful locally grown sweet corn to have with dinner the other night. 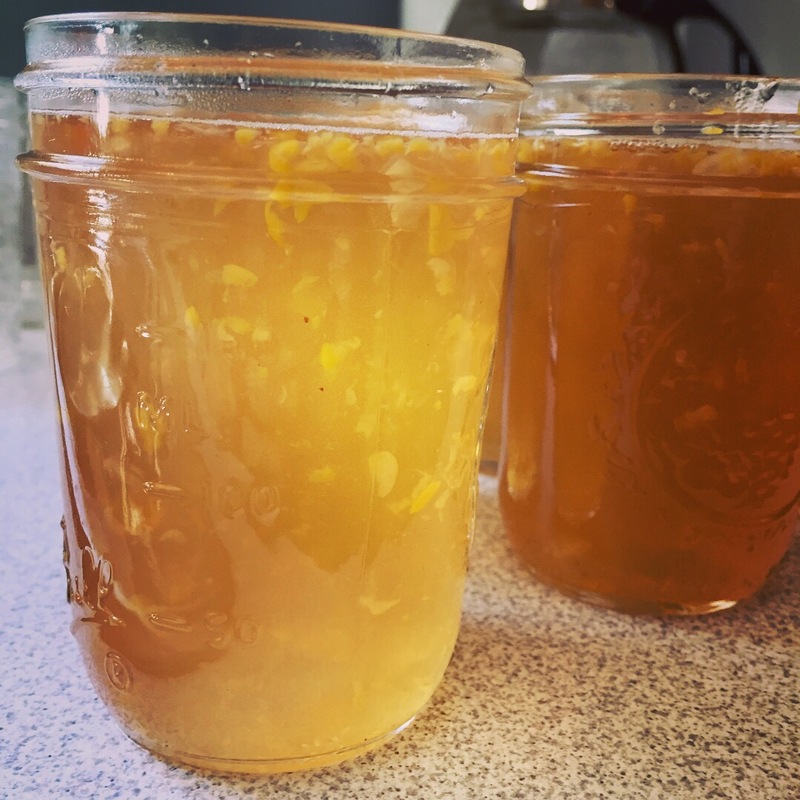 The kernels were so juicy and sweet that I decided to try making some jelly from the leftover cobs. First step is to put the cobs in just enough water to cover them and bring it to a boil. I let it boil for about 10 minutes then turned it down to a simmer and let it cook 45 minutes to an hour. Every so often I ran a spoon over the cobs to pull off any yummy morsels that were left. 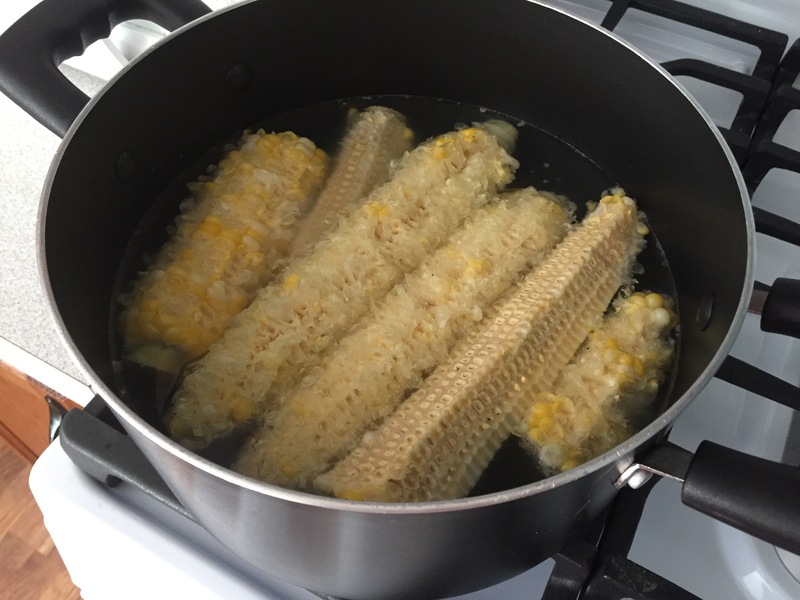 When I was happy with my corn cob broth I used tongs to pull out the cobs. I measured my liquid and found I had about 4 cups. Some people like to strain out the bits and pieces but I like them so I don’t. If you’re gonna do it, now’s the time. I put it back in the pot with a tablespoon of lemon juice and a box of pectin. When I came to a solid boil, I added about 3-1/2 cups of sugar all at once and stirred vigorously to mix it in. I let that return to a rolling boil and then timed one minute. It passed the spoon test so I took it off the heat and filled my jars. After wiping the rims and putting on the lids and bands, I processed the jars for 10 minutes in a water bath canner. 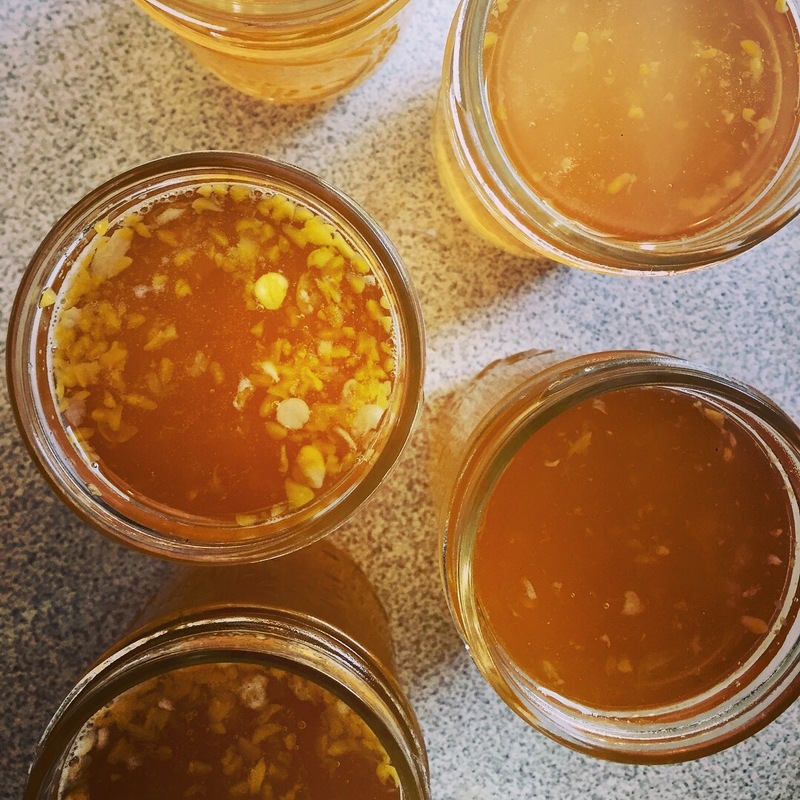 Four cups of liquid made five 8-ounce jelly jars. Waste not, want not! I love recipes like this that put something to use that would otherwise be thrown away. What an interesting idea! I’m goingg to have to try this!